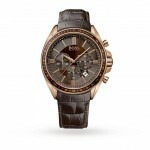 Review Hugo Boss 1512960 Men’s Chronograph Watch. Hello today I’m doing a Hugo Boss 1512960 watch review. 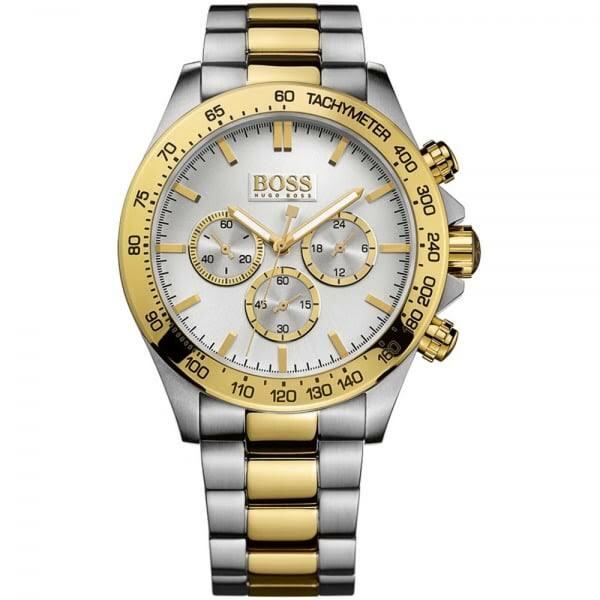 This is an elegant and functional watch from Hugo boss, it has a large striking design to it which is bound to be noticed whilst on your wrist. Hugo Boss produce a huge variety of fashionable watches for men and women, one of my first watches was a rose gold Hugo Boss that I still love to wear daily. They may cost a little more than other watches but they are extremely style and look very luxurious. Editor rating: 8.5/10 Continue reading to find out why. You may also be interested in my top 21 men’s watches under £200. Anyway I’ll get on with my Hugo Boss 1512960 review below, you can click here for the latest reviews, ratings and PRICES on Amazon, enjoy. If you’re after a bold luxury style watch I can see why you would be considering this beauty. I have to say I rather like the two tone gold and stainless steel colour scheme they’ve gone for, it gives the watch that extra wow factor. When it comes to features, if we’re being honest yes you could go for a cheaper watch that offers more, but it definitely won’t look as nice as this. Hugo Boss really do create some great oversized style watches. Overall looking at the specifications of the watch I’m pretty pleased as it’s all what I would expect from a Hugo Boss watch, I’ll take a closer look at each section below. Just as I had expected, this watch features a mineral style glass. This glass is specially hardened to resist scratches and does a fairly good job of it. 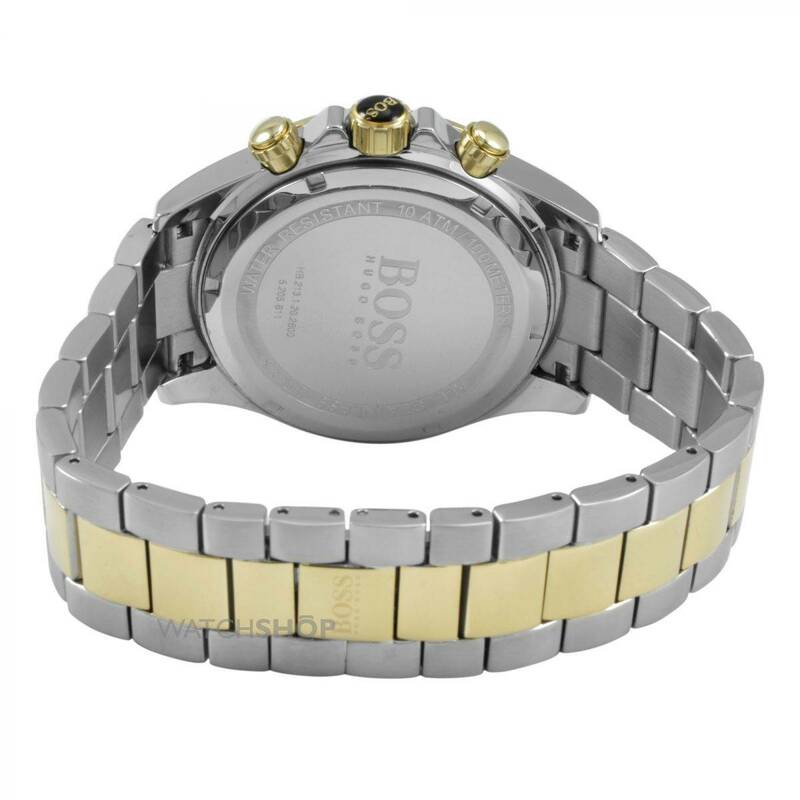 Around this price range you can find watches that offer the better sapphire glass like the Swiss Army collection, however in my eyes they don’t look quite so luxurious as this Hugo Boss watch. Mineral glass is also more shatter resistant than sapphire glass so it does offer that benefit in case the inevitable happens and you somehow drop it. The 1512960 does offer that oversized feel to it with a casing diameter of 44mm it’s classed as a large watch. The thickness of this casing is 12mm which again is also class as large. It excels at getting noticed which is really what you want when you’re buying a watch of this style and the oversize design promotes that. This watch has no date feature, and as I’ve mentioned it in previous reviews for watches with the chronograph style on the dial, it can do without. If you were to fit one in it would have to be in the half 4 position and would take away from the symmetry of the dial design. With this being the case, it’s better off without the date display as far as I’m concerned. It’s great to see that they’ve gone for a higher quality clasp than your standard fold over design. The 1512960 features a deployment style fold over clasp, giving it a clean sleek feel to the bracelet of the watch. The strap itself is made of stainless steel, just like the casing. It’s 20mm wide which is a fairly standard size and perfect to go with the casing measurements. 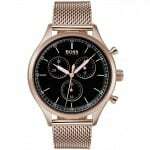 Thanks for taking the time to read my Hugo Boss 1512960 review. It’s a rather stunning watch and I’ve enjoyed taking a good look at it’s features. Hugo Boss are a brand I’m always happy to recommend when it comes to stylish, fashionable watches. When you take into account the watch design, features and price, hopefully you can see how I came to my rating of 8.5/10. If you’re looking for something a little different make sure you check out my top 100 men’s watches under £500 sometime. Hope you found this Hugo Boss 1512960 review useful and enjoyable, comment below and let me know what you think of it. Click here for the latest reviews, ratings and PRICES on Amazon.